Accountants Holly and James worked together for four years before he plucked up the courage to ask her out – at her leaving do! “There was always something between us but it took James a long time to make his move,” says Holly. 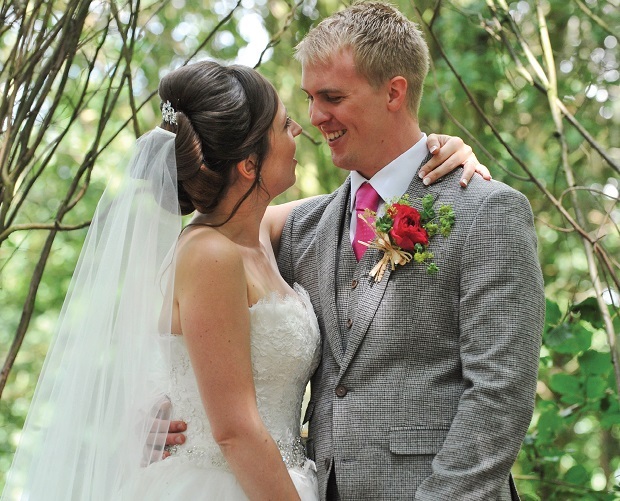 Love blossomed and on 23rd November, 2013, James popped the question. 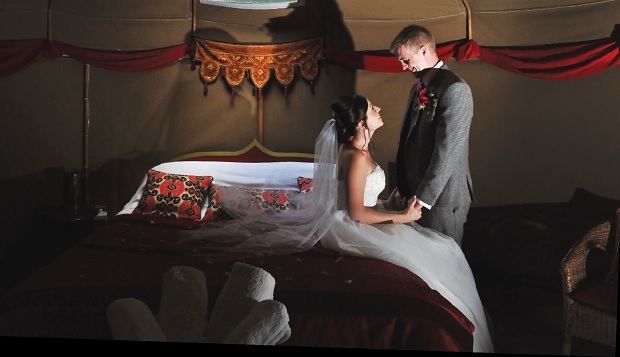 “It was completely out of the blue and I was so not expecting it,” Holly recalls. 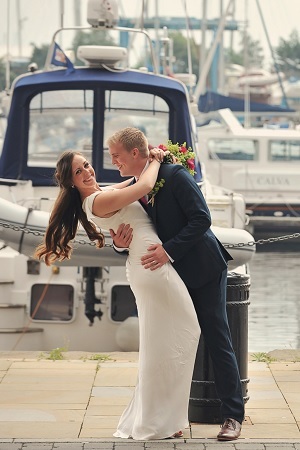 The proposal took Holly on a treasure hunt around Ipswich, following clues to significant places such as where they met, had their first kiss, first date, ending up back home – where they first said 'I love you'. “I returned to find James on one knee in our lounge, surrounded by candles,” remembers Holly. 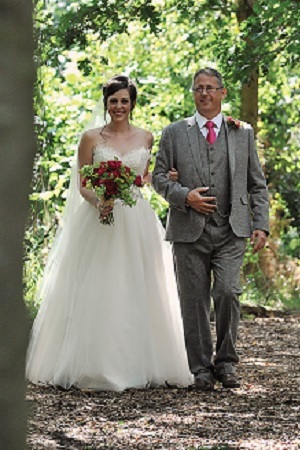 Holly Golding, 26, and James Holt, 24, held their al fresco ceremony in a forest clearing at the beautiful Kenton Hall Estate in Suffolk, followed by a marquee reception in the grounds on 8th August, 2014. I'd always thought I'd have a slim-fitting dress, however when I tried on my gown, even though it was quite voluminous, I knew it was the one. 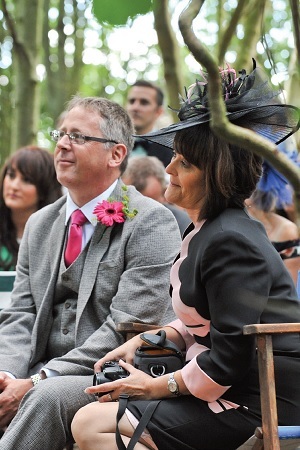 I had a slinky Pippa Middleton-style number for the legal ceremony the day before though. The ceremony was very personal and emotional. 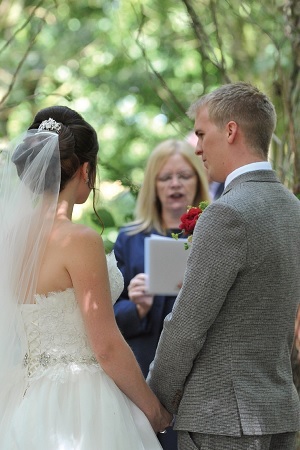 We wrote our own vows which we recited to each other as the sun shone through the trees, surrounded by our loved ones, who were seated on wooden benches. It was everything I imagined and more. 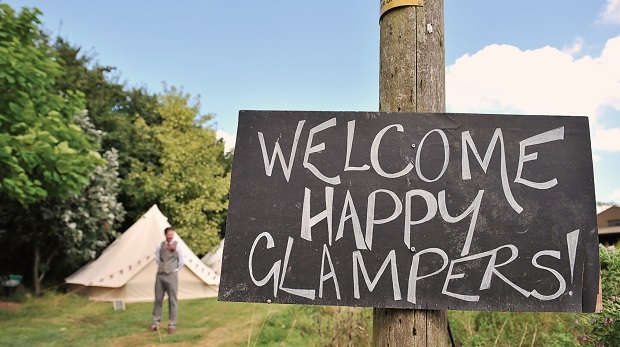 I'd always wanted a woodland wedding, like something out of A Midsummer Night's Dream, and we knew as soon as we saw Kenton Hall Estate that it was the ideal place. 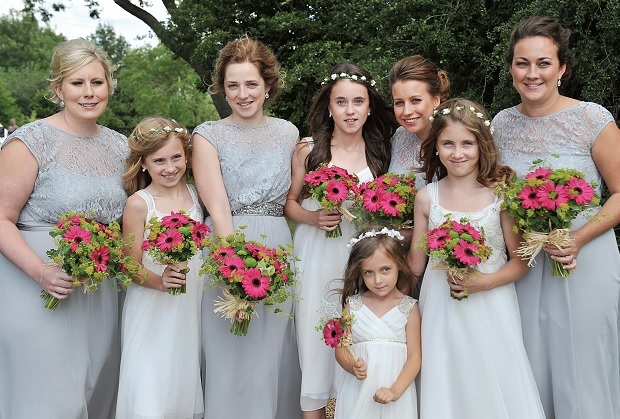 My bouquet included David Austin roses in deep pink which I fell in love with. 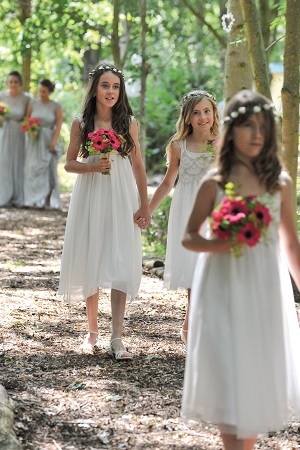 The four older bridesmaids looked stunning in long silver grey gowns while the four younger ones looked every inch the woodland fairies in pretty white dresses with flower garlands in their hair. My florist took the woodland wedding brief and created the most amazing floral arrangements, including making bases for the centrepieces out of logs from her garden. 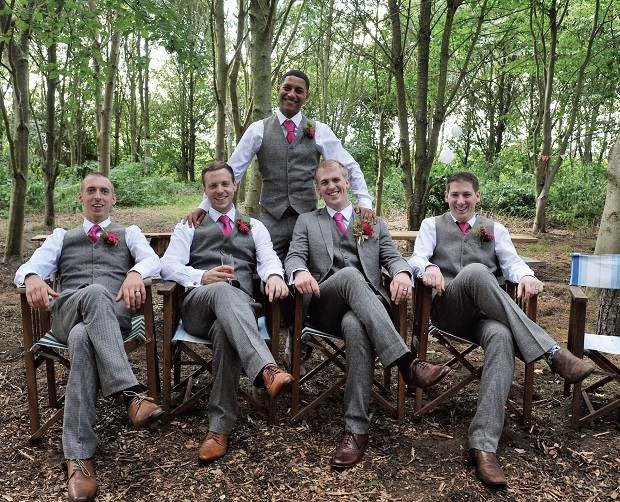 James, his best man and both dads wore tweed suits while the ushers wore matching trousers and waistcoats. 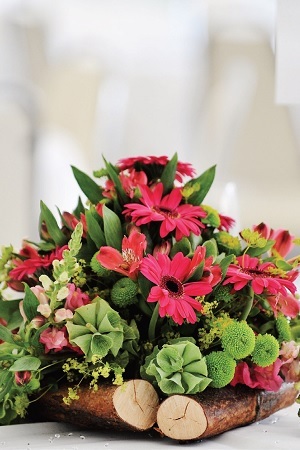 They all had pink ties to complement the silver and fuchsia colour scheme. 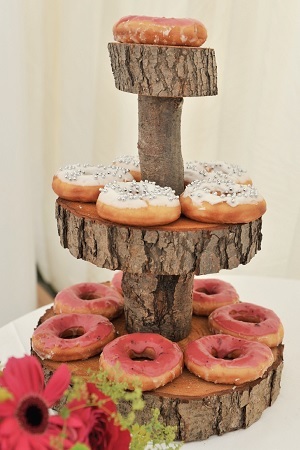 We had silver and pink iced doughnuts as our cake which we displayed on a tree stump stand and had boxes of chocolate and jam-filled ones for our evening guests. 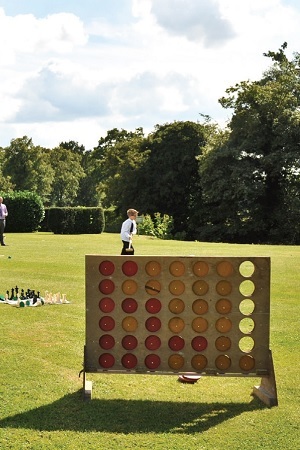 My dad made giant garden games to entertain our guests. 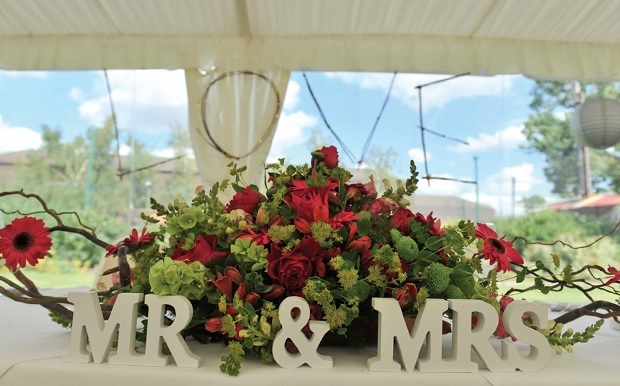 The top table centrepiece was made from twigs entwined with flowers. The day was everything I imagined and more.